"The Weeklong was a touching and life changing experience for me. I felt deep warmth, connection, and love in our community together." The Weeklong is open to all Focusers who are certified or soon-to-be certified, and to advanced Focusers who have a substantial length and breadth of experience. Coordinators are especially invited to attend. One of the highlights of the Weeklong is the Certification Ceremony where we have the opportunity to officially welcome newly Certified Focusing Trainers into the Focusing community and to celebrate and honor one another on our journeys. At the Weeklong, you are invited to connect or re-connect with our diverse international community. It is a rare opportunity to be with an intimate group of advanced practitioners, to learn from one another and to share your wisdom. It is led by a Facilitation Team, along with several Contributing Coordinators, who create an event rich with learning and sharing. The Weeklong can reinvigorate or launch your work, and strengthen the foundation of your life-long participation in our global Focusing community. At the Weeklong, you will deepen or learn new skills, connect with others through common interests, experience a variety of cultural perspectives, and build upon the legacy of Focusing and The International Focusing Institute. A multi-cultural, international team of Focusing Coordinators with a wide array of skills will facilitate your experience. There are also ample opportunities to share your skills and your particular Focusing approach. At the Focusing Weeklong in 2017, people found they were able to more deeply discover themselves, their gifts, and their aliveness through the experience of deep connection in a profoundly accepting and supportive community — a community that has continued long after the week was completed. The Focusing Weeklong is not just about deepening our understanding and practice of Focusing, but deepening our understanding of ourselves and what we bring to the global community. "Many of us could feel that we got carried forward mutually." "I took so many precious memories back home." ...finding themselves in the midst of the deeply supportive community. ...feeling fully alive, grateful, and experiencing rapid growth. A Focusing-Oriented Psychotherapist and Focusing Coordinator, Jeffrey Morrison practices in West Seattle and Vashon Island, USA. He specializes in working with complex trauma and teaching Focusing to therapists and other healing professionals. He has developed a FOT training program, which blends Focusing, mindfulness and other embodied practices for unwinding trauma and restoring wellbeing. He is currently a student in The Embodied Life School studying with Russell Delman. He lives on Vashon Island with his wife, who is a teacher, and his teenage son and daughter. They enjoy their gardens, walking, and spending vacations near water. Jan is a Focusing-Oriented Therapist and Creator/Lead Trainer of 'Focusing On Borden' in Toronto, Canada. The centre offers group classes for training as a Focusing Professional and Focusing-Oriented Therapist. We are creating a community of like-minded and embodied people who share a passion for bringing Focusing into the world. Jan created the Felt Sense Experience Model for working with issues of Emotional Regulation. She has written about the model in the recent publication “Emerging Practice in Focusing-Oriented Psychotherapy”. She teaches, supervises and sees clients in her private practice. In her spare time she enjoys writing, time at her cabin with family and friends…and her cats…Loui and Mitzi!! This is my sixth weeklong experience and my third as a Facilitator. What keeps me coming back? It’s like going to a stimulating conference with time to relax and focus a lot…. It’s like going on an inner journey and being at a party with great friends….. It is all of these things and more and more and more…..
We hope you will be with us next January in Chile to celebrate your Focusing training journey and to let us welcome you into our international community. Join us in this interview with Jan Winhall from 2017, as she shares her Focusing-oriented model of working with trauma and addictions, which will be the subject of her workshop at the Weeklong this year as well, and describes some of the other highlights of the Weeklong experience. Edgardo was introduced to the work of Eugene Gendlin in 1975 when doing his thesis in psychology. He currently dedicates a large part of his time to teaching Focusing to Spanish-speaking people and incorporates Focusing in his psychotherapy practice. Interested especially in the process of therapeutic change, Edgardo has written several books on the problem of the symbolization of experience. As a Psychotherapist and University Professor, he has applied Focusing in a wide variety of areas: clinical, organizational, community, education, earthquakes and accidents, and in work with the elderly. Edgardo has incorporated Focusing in many ways including in literature and in special Focusing programs for those experiencing grief from the loss of a loved one. He has translated the fundamental philosophical works of Eugene Gendlin into Spanish: A Theory of Personality Change (1974), Experiencing and the Creation of Meaning (2016), and A Process Model (2009). He lives in Chile and has been a Coordinator of the International Focusing in Chile since 2000. He is the founder of The Continental Focusing School in Spanish (2016, semi-face-to-face training), where he teaches and disseminates Focusing to Spanish-speaking people in South America, the Center and North, Spain, Puerto Rico, Cuba, and the Philippines. 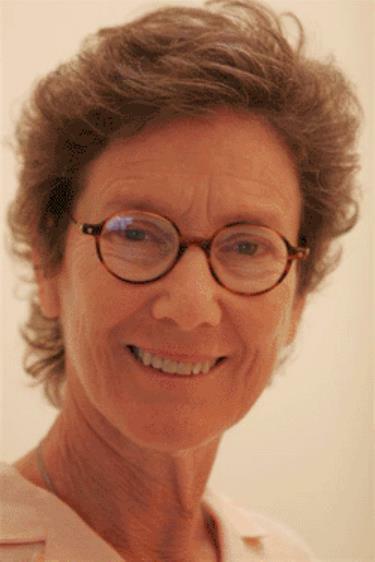 Each morning before breakfast a variety of Bioenergetics and Feldenkrais group classes will be offered by Agnes Windram. Each class will explore a different theme, a different way to connect with ourselves and others. The program will be taught in English and Spanish, with translation. All language groups welcome. If four or more people need translation into a language other than English or Spanish, then we make every effort to provide a translator. Please consider forming a group from your country and if you need translation, please contact us as soon as you can, so that we can help you to have a great experience. This scholarship fund continues Dr. Klein's vision of an international Focusing community where anyone with a passion to learn and spread Focusing has access to the best training, and lack of financial resources are not a barrier. Application deadline: August 15th. • Registration closes January 6, 2019. • Single rooms are limited. La Casa de Ejercicios (Retreat House), Punta de Tralca, Chile is a simple and beautiful seaside resort approximately two hours west of Santiago, Chile on the Pacific Ocean. It is easily accessible by bus from Santiago. From the Airport take the Blue Bus to the main bus station in the center of Santiago. The bus leaves the airport approximately every 15 minutes. You do not need a reservation. It takes approximately 20 minutes from the Airport to the bus station in the center of Santiago. From the main bus station, take the Pullman Bus to Punta de Tralca. It runs approximately every 30 minutes and takes approximately 2 hours. (1) Member Discount - TIFI members who pay 2018 dues before registering, $50 off. (2) Janet Klein Scholarship - See above for how to apply. (3) Certification Fee Discount -- Did you pay your certification fee within the last two years? If Certified with us after January 2016 and have not yet attended the Weeklong, we will deduct the certification fee you paid from the current pricing. (4) Workstudy Job Choices and Discounts - Applications must be received by July 15. Photographer, Videographer, Morning Movement Instructor, Catch-all, Emergency Assistance, and Translators. To apply for a work study job please email workstudywklong@focusing.org and include a short statement about your experience no later than July 15, 2018. Work study applications will be reviewed and applicants will be notified by August 15. Please note: we will fill jobs as soon as the right candidate applies, so get your application in as early as possible. Work study jobs are part-time jobs during the retreat and are opportunities for a tuition discount. Room and board is the full responsibility of the applicant. You may apply for more than one position; depending on the number of applicants, we may combine positions. Retreat Videographer: $300 USD off current tuition – must have own video camera. Please submit two videos you've filmed and/or edited. Emergency assistance: (must have car, a driver's license valid in Chile, and be familiar with the area) $300 USD off current tuition. Translators: (if needed) when 4 or more people register who need translation, we seek translators – please submit your application early if you are interested so that we can contact non-English-speaking and non-Spanish-speaking groups to let them know the opportunity exists – full tuition paid ($800 off). Pay in 2 payments: tuition today, room and board on September 15. Pay in 4 equal monthly payments (note this option only available until August). (If a different payment plan would work better for you, please call 845-480-5111 to discuss). Any changes to your room and board choice should be emailed to rita@focusing.org. A $25 processing fee will be charged. Cancellation Fee: Before October 15th- refund of your payment less $150 cancellation fee. After October 15th- all fees are nonrefundable except in unavoidable emergency. The International Focusing Institute reserves the right to cancel or re-schedule for insufficient enrollment or for other unanticipated reasons. In such cases you will be given a choice of applying your tuition to future programs, or the full enrollment fee will be returned. Workshop check-in: Sunday, January 13th, 3:00 -5:00 pm. Snack at 5:00 pm, dinner at 8:00 pm, first group meeting 6:00 pm. Workshop check-out: Friday, January 18th. The workshop will conclude with a final meeting Friday morning followed by lunch. TIFI reserves the right to cancel, change and alter the program if necessary. Participants authorize TIFI to use their name, statements and likeness without charge, for promotional purposes in publications, advertising, video, web, new media, or other formats. Important: We have sold out of rooms - we are checking to see if more rooms might be available. You can still register. We will not process your credit card and we will email you as soon as we know.